Gateway Classic Cars of Tampa is proud to offer this all original, numbers matching, never repainted, 1980 Pontiac Firebird Trans Am. The only thing that has been changed from this car is the wheels and tires but the original rims with factory tires are also included. The dealer that this car was delivered to in 1980 was Woolbright Motors and the original dealer sticker is still on the back of the car. Powered by a 4.9-liter V8 engine with a factory turbo and mated to its original automatic transmission. This car only has 15k actual original miles and is truly a collectors item. Still painted in factory “Tahoe Blue with Blue cloth bucket seats and blue interior accessories. The paint still shines as it would from the factory and has many exterior features that make this car a real head turner. 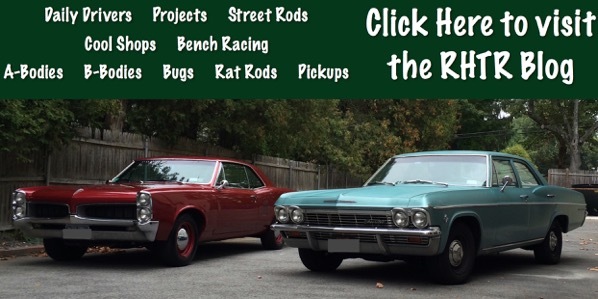 For example, the shaker hood, removeable glass T-Tops, 15 rally wheels, Blue firebird decals, concealed windshield wipers, specific black tail lamps, front center air dam and rear openings, and even front fender air extractors. This car has been preserved with such low mileage that it could be driven and still be a show car and collectors item. The interior is just as preserved as the rest of the car and has many added factory options. Options include; Air conditioning, remote trunk release, cruise control, electric defroster, Rally clock and gauges, power windows and locks, power brakes and steering, AM/FM cassette player, and even sport mirrors. The owner has the original build sheet laminated that comes with the car as well. This Tahoe Blue Trans Am was bad to the bone in the 80s and is even more rare as the last 40 years have passed. If you are looking for a driver, a show car, or even an investment than this is the car for you. To see 100+ HD pictures and videos of this 1980 Pontiac Firebird Trans Am Turbo please visit GatewayClassicCars.com. For more information or to schedule an appointment to view this vehicle in person, please call the Tampa showroom at (813)645-6200 or email us directly at Tampa@GatewayClassicCars.com. Up for sale in our Detroit showroom is this beautiful 1956 Ford Thunderbird. This 1956 Ford Thunderbird is powered by a numbers matching 292 CID V8 motor followed by a Ford 3-speed manual transmission. In 1956 this Thunderbird came with a 292 CID V8 that a year later became the Thunderbirds standard engine, and produced 202 horsepower to compete with the Corvette. The 1956 Ford Thunderbird is dressed in Peacock Blue paint, wide style white wall radial tires, a set of Thunderbird hub caps, and the matching Peacock and White vinyl interior to set off the car. In 1956 Ford made a very noticeable change by moving the spare tire to a continental-style rear bumper, which gave you more storage room in the trunk giving it more room and a new 12 volt electrical system. In 1956 Ford also made an optional porthole in the removable roof which was selected by buyers. The Ford Thunderbirds interior is first class with beautiful blue vinyl seats, AM/FM radio, and a custom center console. Other Options include: hub caps, Coker Classic wide white wall tires, and continental spare tire kit. Also, this Thunderbird comes with both the hard and soft convertible tops. This is a great original Ford Thunderbird that is ready to cruise the road with the top down, no matter the day this car brings a smile and that old cruising feel of 1956. 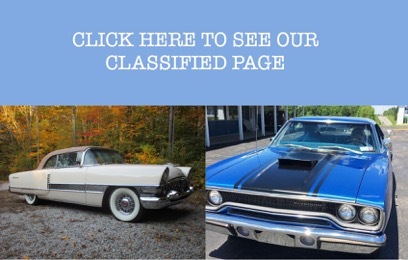 To view this one of a kind Thunderbird in greater detail, including an HD video, please visit www.GatewayClassicCars.com or our Detroit showroom. For more information on the 1956 Ford Thunderbird please call 313-982-3100. Now featured in our Denver showroom is this beautiful 1928 Ford Track T with less than 3,500 since the build was complete! Powered by a 305 cubic inch V8 and connected to a TH-350 automatic transmission, this hot rod is quick! One of the most defining features on this car though is the Winters quick change rear end that is fully exposed that not only looks cool but is very functional. Open the driverâ€™s door and slide into the seat and pop the steering wheel into place. Once you are in and situated the drive in this car is exceptionally unique! As you go from corner to corner you can watch all of the front-end components doing their job and listen to the V8 change tones as you press and release the throttle. This 1928 Ford Track T was built to be the ultimate driving experience and was not equipped with all the modern features to keep the overall build simple. 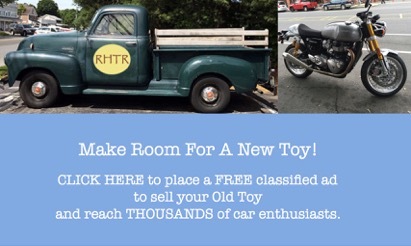 If you are looking for a fun antique looking racer that can be immediately driven to the local cruise night or car show, this Track T would be a great choice! This vehicle is located in our Denver showroom. You can view this 1928 Ford Track T in greater detail including HD pictures and an HD video of it running and driving at Gatewayclassiccars.com. If you are interested in purchasing this vehicle or have more questions regarding it please call us at (303) 872-4722 or email us at Denver@gatewayclassiccars.com. We at Gateway Classic Cars of Tampa are proud to present to you this stellar 1955 Chevrolet 210 four door. This 1955 Chevy has a more modern heartbeat with a new heartbeat to the tune of a LS1 engine with 32,000 miles on the engine and trans. The LS1 is mated to a 4L60 automatic transmission. The classic tuxedo look of black and white paint on the exterior matches the black and white interior. This vehicle also has many modifications including, LS conversion serpentine belt drive, disc brake conversation kit on two-inch drop spindles. Front sway bar, rear shock crossmembers, rear end 8.8 disc brakes, 500 series steering box, truck hydro-booster power brake kit, griffin thermal cross-flow radiator, mufflers borla x-pipe crossover, inline straight electric fuel pump, Dakota digital cluster, vintage air conditioning, windshield wiper motor kit and hyper white LED light bulbs. The Tri-Five era of Chevrolet vehicles changed the landscape of the automotive industry which explains why these vehicles have become some of the most desirable still to this day. This 1956 210 is included in this legacy along with the 150, Bel Air, and Nomad. This 210 Chevrolet combines the best of the Tri-Five era along with the power of a more modern built engine. Regardless of if you are looking for a cruiser or something that you can do some spirited driving in, this vehicle can handle both. Relive the 50s in style by picking up this classic today. To see 100+ HD pictures and videos of this 1955 Chevrolet 210, please visit GatewayClassicCars.com. For more information or to schedule an appointment to view this vehicle in person, please call the Tampa showroom at (813)645-6200 or email us directly at Tampa@GatewayClassicCars.com. An old school roadster with a ton of horsepower getting pushed out of a small block Chevy. Whats not to love! The Ford Model T (colloquially known as the Tin Lizzie, Leaping Lena, or flivver) is an automobile that was produced by Ford Motor Company from October 1, 1908, to May 26, 1927. The Ford Model T was named the most influential car of the 20th century in the 1999 Car of the Century competition. The Model T was Fords first automobile mass-produced on moving assembly lines with completely interchangeable parts, marketed to the middle class. Henry Ford said. “I will build a car for the great multitude. It will be large enough for the family, but small enough for the individual to run and care for. It will be constructed of the best materials, by the best men to be hired, after the simplest designs that modern engineering can devise. But it will be so low in price that no man making a good salary will be unable to own one – and enjoy with his family the blessing of hours of pleasure in Gods great open spaces.” This bright Chrome Yellow Ford Roadster acquired a new body in the mid ‘60s by Grant King. She was completely rebuilt in March of 2000. With stainless steel brake lines, new crossmembers, and the frame was also painted. This beautiful little roadster has a new purple top with a new cover. She is sporting a Chevy 355 motor with a 700R4 transmission, linked up to a Ford 8” rear end with 9” 350 posi gears. The motor has been polished and painted to match the rest of the cars color scheme. Just imagine putting the top down and going to drive in this Chrome Yellow Ford Roadster. With the wind in your hair while listening to your favorite radio station. To view the car in greater detail, including an HD video and 100+ HD pictures please visit www.gatewayclassiccars.com or our Denver showroom. Call 303-872-4722 for more information.